In the latest edition of our “Ours and Theirs” series, we’ve asked winemakers and winery representatives from northern Michigan’s Old Mission Peninsula to weigh in on which of their wines they consider the standout from their own portfolios, as well as a wine they would highly recommend from one of their neighboring wineries. Located near Traverse City, the Old Mission Peninsula is home to nine wineries: 2 Lads, Black Star Farms-Old Mission (their main estate is on Leelanau Peninsula), Bowers Harbor Vineyards, Brys Estate Vineyard & Winery, Chateau Chantal, Chateau Grand Traverse, Hawthorne Vineyards, Peninsula Cellars, and the newly opened Bonobo Winery. A tasting room for another OMP winery, Villa Mari, is in the works, though the winery’s products have been available at local wine shops and select restaurants for a few years. Ours: Two of my favorite wines at Chateau Chantal are the Proprietor’s Reserve Chardonnay and Proprietor’s Reserve Pinot Gris. Since we’re sold out of the Chardonnay for a while, I’ll talk about the Pinot Gris. Made in a more Alsatian style of the Pinot Grigio grape, our Gris comes from our original 1986 estate planting and is fermented and aged in neutral oak barrels for a round mouthfeel and complex finish. Depending on the vintage year, the wine can display a tropical fruit cocktail of lime, tangerine, mango, to melon and green apple. What I particularly enjoy is the more rounded, lush mouthfeel, giving the wine a medium body. Theirs: Let it be known that I thoroughly enjoy wine from all of the OMP wineries, and to choose a favorite is near impossible. One wine I do enjoy is the 2012 2 Lads Cabernet Franc. 2012 was a great vintage on OMP; we were able to enjoy a long, warm summer that made a nice ripe vintage. I’ve enjoyed 2 Lads Cab Franc since moving back to TC in 2009. It’s a complex wine with lots of red fruits, smooth texture, and spice components, depending on the vintage. My first experience with the wine was on a boat in West Bay, paired with a dark chocolate brownie — not a bad experience! Ours: The 2012 Hogsback Vineyard Merlot/Cabernet Franc. A must try because it has always been a good wine in my opinion, but has really developed a depth of character in the last couple of months that is surprising. The dark fruit flavors are richer and the tannin structure is more velvety. Theirs: 2 Lads 2012 Pinot Noir D. Cuvee. I’m usually not a fan of Pinot Noir, but the 2 Lads version is an exception that I’m happy to make. Great balance and complexity of flavors, rich and dark, make this much more than just a glass of red wine: This is an experience. My hats off to the Lads on this one. Ours: Pinot Grigio. Our Pinot Grigio is our No. 1 selling wine. We were the first to make a Pinot Grigio in the state of Michigan and are committed to producing the highest and most consistent quality Pinot Grigio every year. By picking the grapes a little early, we utilize the bright acidity, creating explosive, expressive tropical flavors of pineapple and grapefruit. Because of the bright fruit and crisp clean finish, this wine pleases a variety of palates and is wonderful to serve for large parties and celebrations. Theirs: 2 Lads Sparkling Pinot Grigio. 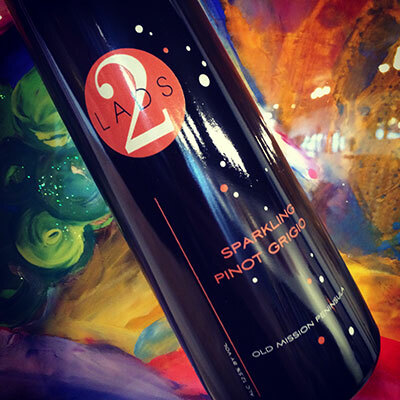 2 Lads also celebrates the northern Michigan climate for growing Pinot Grigio with a sparkling version, the Sparkling Pinot Grigio. This style is very lively and effervescent. Because they are dedicated to the traditional method of making sparkling wines, you will enjoy both the bright fruit up front and a nutty complexity on the finish. Ours: From the Old Mission Peninsula location of Black Star Farms, and with one of the OMP vineyards as the source, I would suggest that serious wine people should try our 2013 Arcturos Grüner Veltliner. This is a little-known variety from Austria, and it’s always fun to discover new varieties. For the dry white wine consumer, there is so much in this wine that will make you smile — fruit-driven aromatics, spicy nuances on the nose and palate, an exotic herbaceous-ness that adds to the complexity, balance, and acidity that makes it perfect with food, and a finish that has you yearning for more! It’s a variety that is relatively new to the region, but is sure to find a solid foothold in our production well into the future. Ours: If I had to pick just one wine from Hawthorne Vineyards, it would be a very difficult task! However, since this is the task at hand, I would highly recommend our 2012 Cab Franc/Merlot. This is a luscious Bordeaux blend, displaying aromas of tobacco, plum, and red berries. On the palate, it’s very smooth and well rounded with softer tannins. “Jammy” would be a good descriptor for this wine. It’s certainly drinkable right now; however, it will become more complex with age. Ours: For Brys Estate, I would recommend our 2012 Cabernet Franc. This wine showcases our dedication to producing world-class red wines, and with its list of awards and accolades, this wine proves that red wines from northern Michigan can compete on an international scale. Complex dark cherry and berry flavors complement red meats — especially seasonal game. Theirs: Since we are talking red wines, I would suggest trying the 2012 2896 Langley from Bowers Harbor Vineyards. This wine is rich and powerful. It is another example of the exceptional reds being produced on Old Mission Peninsula. 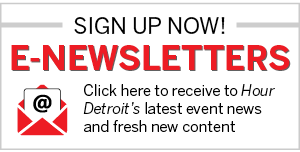 Cortney Casey is a certified sommelier and co-founder of MichiganByTheBottle.com, a website and online community that promotes the entire Michigan wine industry. She’s also co-owner of Michigan By The Bottle Tasting Room, joint offsite tasting rooms in partnership with multiple Michigan wineries, located in Shelby Township and Royal Oak. Contact her at cort@michiganbythebottle.com.